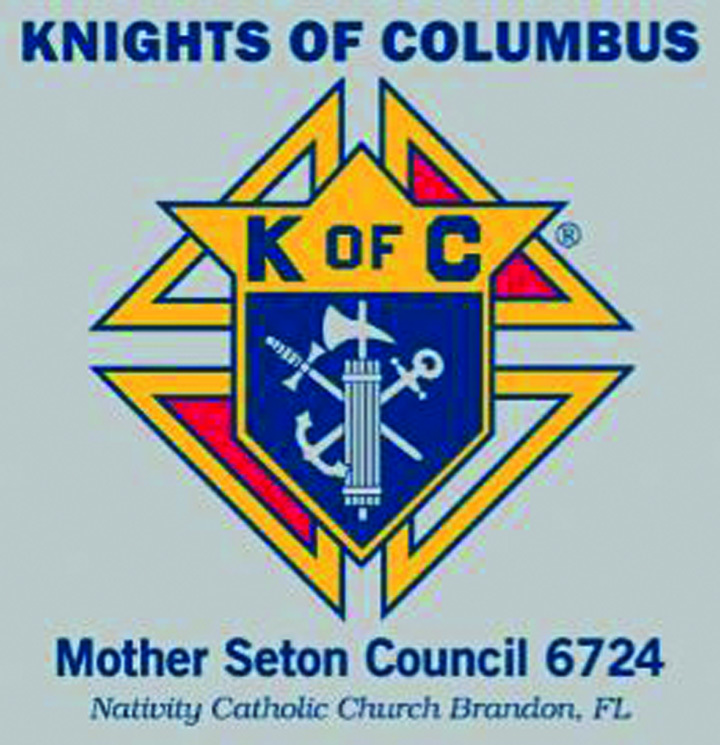 The Knights of Columbus Mother Seton Council 6724 will host its inaugural Derby on the Greens golf tournament on Saturday, May 3 at the Bloomingdale Golfers Club. All of the proceeds will go to support the council’s programs benefiting not only Nativity Catholic Church, but also the surrounding Brandon community. The funds will also support other council programs such as the Veteran’s Affairs Voluntary Services (VAVS) at the veteran’s hospital in Tampa, The Annual Youth Soccer and Basketball Challenge, Lopez School for Exceptional Kids in Valrico and assistance for homeless veteran families in the immediate Brandon community. Marc Andersen of Brandon is the Grand Knight for the council and his involvement with the organization began because he loves giving back to the community and assisting those in need. “As a Grand Knight, my primary focus is to build upon the council’s relationship with Nativity Catholic Church and the Brandon community,” Andersen said. Last year alone the council was able to provide support to over 65 homeless Veteran families in the Brandon and surrounding communities. The golf tournament will be held on the 140th Running of the Roses. The tournament is four-man best ball format. Registration for the event starts at 11 a.m. with a shotgun start at 1 p.m. Lunch and dinner will be provided and the awards ceremony will take place after dinner. “We are still looking for assistance with food sponsors and hole sponsors,” Andersen said. To learn more about the golf tournament or to register for the event, visit the council’s Website at KofCBrandon.com or call Andersen at 720-7599. The Bloomingdale Golfers Club is located at 4113 Great Golfer’s Pl. in Valrico.